Want to catch a glimpse of Fiji for your vacation/holiday? Check out these Fiji resources from videos to webcams to get you excited about your exotic Fiji getaway! 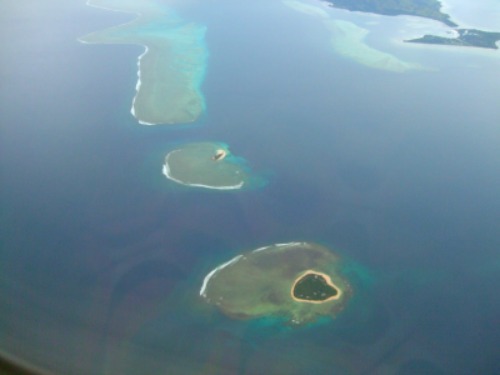 How romantic... a heart-shaped Fiji island! Riding the excitement, when viewing these Fiji videos, would be the closest thing short of actually being in Fiji. I could swear that you could even feel the cool breeze or the warmth of the sun through the computer screen! Ok, I may be getting a little excited here, but these videos really do catch the essence of how idyllic Fiji really is. 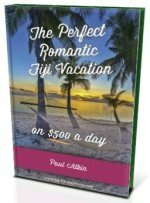 It's a collection of videos found through the Amazing Fiji Vacation dot com website. Get excited by visiting our Fiji Videos section. I'm actually quite proud of the quality of pictures on my site. But before you get too excited, unlike my videos, it isn't quite the collection of all the photos of the Amazing Fiji Vacations site. It would be a huge list if it were. I have picked a handful of photos from my experiences in Fiji that captured a unique moment in time. Take a squiz at My Photos Fiji section. If the Fiji videos are the closest thing short of being in Fiji, then a Fiji webcam captures acutal live moments! However, there are very few webcams available, so much so, I'm thinking of setting one up of my own. Visit our Fiji Webcams section and watch the sunsets in the comfort of your reclining couch. Here is a collection of important sites of Fiji that is found throughout the Amazing Fiji Vacations site. Visit them here in our Fiji Internet Sites section. This section is a work in progress, but you'll find maps of towns and islands from standard maps to google maps. Visit our hub Map of Fiji section.